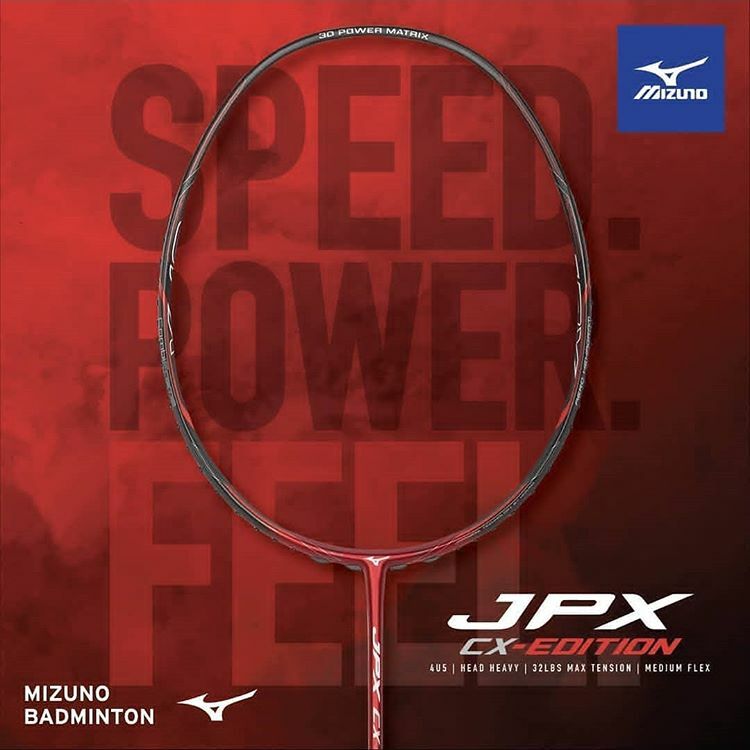 The JPX CX-Edition features a first of its kind Carbon Handle design that combines with an Xtra slim shaft which moves the flex point closer to the frame and the revolutionary CombiFrame for consistent Speed and power on the court for every shot all the time. Mizuno JPX CX EDITION having a Medium Flex, and 3D Graphite Endcap, this is Made in Japan racket. The CombiFrame infuses two distinctive features resulting in a uniquely versatile frame. Contouring from an Aero Hexagram frame starting at the bridge to a Box Frame from the middle to the top of the racquet. This combination generates highly explosive head speed, extreme power and unswerving control. The unique manufacturing process of interlinking and overlapping composite fibres that are woven over the frame creates a high resilient design. This seamless construction evenly dissipates the pressure that a racquet receives during aggressive play protects the underlying structure of the frame.